100 Years Old – Will You Live to be a Centenarian? 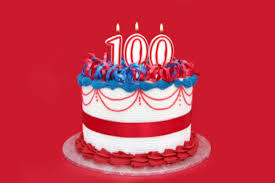 Nationwide, the centenarian population has grown 65.8 percent over the past three decades, from 32,194 people who were age 100 or older in 1980 to 53,364 centenarians in 2010, according to new Census Bureau data. The Queen Mum, George Burns, and Bob hope all made it to their 100th birthday (and beyond). For a fascinating look at the world of Science and its centarians, read “23 Great Scientists Who Lived to be 100“. Great minds doing great work for a good long time! Alison Klayman (known most recently for “Ai Weiwei: Never Sorry”), an exclusive clip from which premieres above. In it, Herrera makes the case for artists not talking too much about their work: “You cannot talk about art; you have to art about art,” she says, smiling (and lightly pounding a desk for emphasis). Who Turns 100 Years Old in 2017? Girl Scout Cookies and the World Book Encyclopedia both turned 100 years old this year. General Electric, Coca-Cola, Smuckers, UPS, and Boeing will all hit the mark in 2017 as well! Check out Lydia Belanger’s robust Entrepreneur article, “Why These 10 Companies Turning 100 or Older in 2017 Still Matter” for more on each of those companies and so much more. 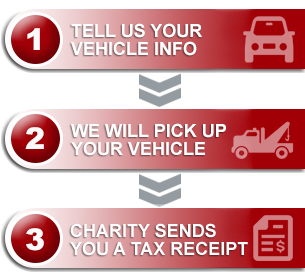 Here at Donate a Car we have the opportunity to witness many Canadians doing a lot of good. Many donors are seniors who are looking at making changes to their driving habits. These are hard working folks whose vehicle donation is one more generosity in a life-time of acts of kindness. Providing a free tow and making all donation arrangements is a big help when mobility is compromised. We’re happy to take donations over the phone. We can usually have everything in order and ready for a tow assignment within 10 minutes. We’re also happy to take extra time to talk with our senior donors. We value their stories and their unique circumstances. We also take time throughout the donation process. If there is confusion about what order things will occur in, if schedules change, or if a little clarity is needed, we are delighted to ensure a great donation experience. We are also sensitive to the reality that some of our senior donors have loved ones facilitating their donation for health reasons. Estate donations are also easily arranged — a welcome simplicity when managing all of the ins-and-outs of doing the work of executor or executrix. We are ready and available to assist with this as well! Our centenarian donor was a delight to work alongside on behalf of his chosen charity. The Lion’s Gate Hospital received a gift of over $900.00 in his name! We look forward to the daily privilege of many more such gifts!